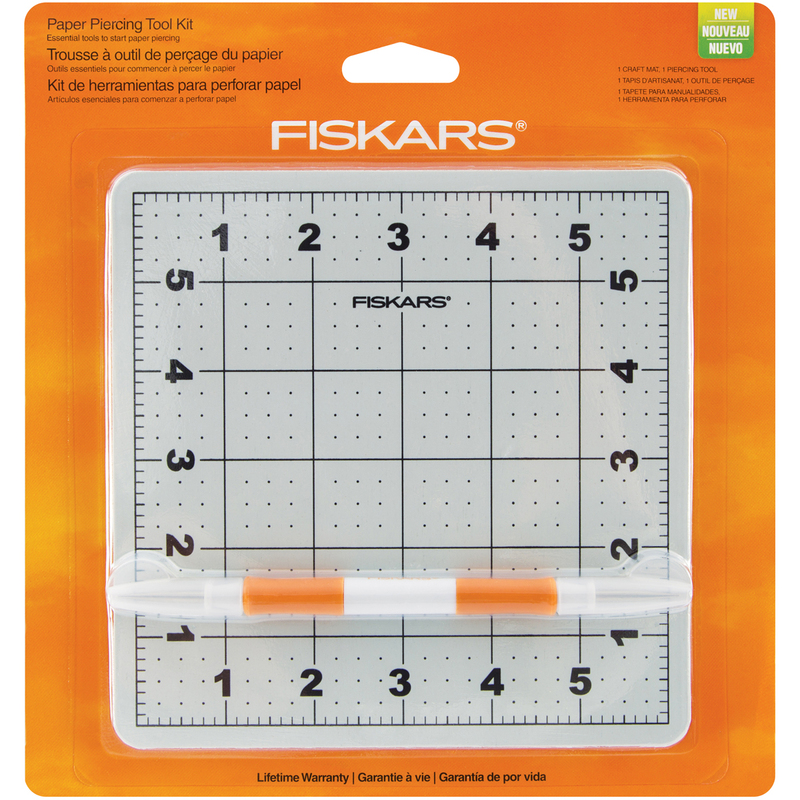 Fiskars-Paper Piercing Tool Kit. Paper piercing tool has two points: one for fine designs and fabric and one for bolder designs ideal for thread weaving. The craft pad protects your work surface and features a self-healing surface for lasting quality. Bold measuring grid and numbers ensure easy alignment. Lifetime Warranty. This package contains one 6x6 inch craft pad and one 6 inch long piercing tool. CAUTION: CUT HAZARD. Product has functional sharp points. Contact may result in injury. Always keep points away from fingers and body. Handle with care.